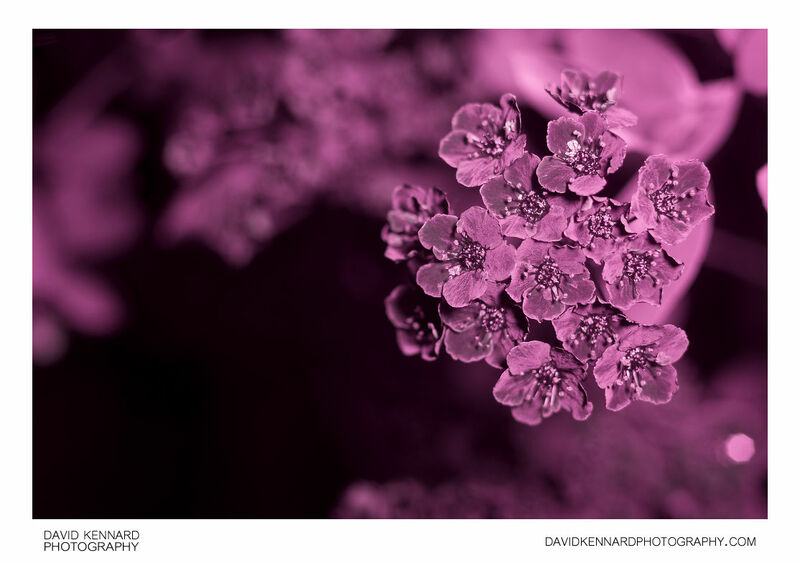 Ultraviolet photograph of the flowers of a Spirea cultivar, possibly a cross between Spiraea nipponica and Spiraea × vanhouttei. In ultraviolet the flowers' petals are quite dark, contrasting with their bright white tonation in visible light. The centres of the flowers appear darker still in ultraviolet. Full spectrum modified Vivitar 283 flash fired at full power close to flowers, triggered by radio trigger.